To celebrate the new generation of shredders profiled in our May/June “Loud Issue,” the SPIN staff decided to find some wheedle in a haystack, taking on the impossible task of ranking our favorite guitar players of all time. Traditionally, the “greatest guitarist” timeline begins with Robert Johnson magically conjuring the blues, nears perfection with Eric Clapton mutating it beatifically, and then ultimately reaches a boomer-baiting Rock and Roll Hall of Fame apotheosis with the free-spirited Jimi Hendrix shooting it into space like feedback-laden fireworks. For this list, we veer toward the alternative canon that kicks in with the Velvet Underground trying to erase that form entirely, making guitar solos gauche and using instruments as sadomasochistic tools for hammering out sheets of white heat. As you will see, our list embraces outsiders, trailblazers, outliers, and Eugene Chadbourne playing a rake. We don’t worship “guitar gods,” but prefer our axe-wielders to be resourceful, egalitarian, flawed, and human. We’re not drawn to Olympic feats of fleet-fingered athletics, unless they’re used for unique and exploratory ends. We see the mewling histrionics of Jeff Beck as tyranny instead of catharsis. The name Derek Trucks is practically alien to us. Look, as far as we know, our asymmetrically coiffed party pal has never held a guitar in his life. But no contemporary musician has a more primal understanding of adrenaline-pumping, pulse-raising, chest-caving bulldozer riffs than dubstep mosh ambassador Skrillex. Somewhere between the unfiltered piston-pumps of nü-metal and the twinkling emocore melodies that weaned him is a gaping sarlacc of yawping melodies and buzzsaw edges. The bass drop to “Scary Monsters and Nice Sprites” might just be this generation’s “Smoke on the Water” — look no further than the obscene number of “Skrillex guitar cover” videos on YouTube! Most Heroic Moment: Korn’s “Get Up,” even if Munky technically plucked the strings. — C.R.W. In SPIN’s May/June “Loud Issue,” Paul Saulnier, frontman for squawking indie-punx PS I Love You, mused, “I’m getting comfortable with self-indulgence.” Hopefully, not too comfortable: Saulnier’s yelping guitar-driven blurts cast him as a Clark Kent too shy to ever fully embrace his Superman side. Endearingly knock-kneed riffs lurch along with their heads down before briefly unbuttoning their shirts to reveal the brawny licks underneath. Virtuosity is rarely so endearingly bashful. Most Heroic Moment: The blast of white-hot lava that passes for a riff on 2010’s “Saccharine Traps.” — C.W. 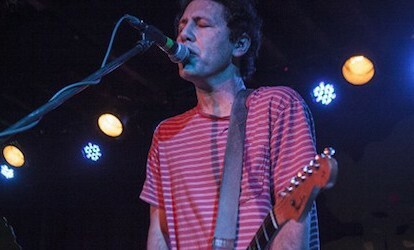 A reluctant soloist, Yo La Tengo cofounder Ira Kaplan was credited with “naïve guitar” on the band’s first single in 1985 and didn’t begin taking the spotlight regularly until some two years later. 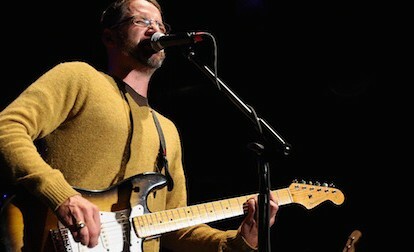 Starting with a bucket of Velvet Underground moves, Kaplan became a consummate inside guitarist, too, a deceptively normal-looking dude folding in space jazz, barbed noise, spare country soul, and — when very occasionally called for — traditional feet-behind-knees rock jumps. As much a sculptor as a guitarist, Pajo’s work in post-rock progenitors Slint was a frightening, seemingly rootless display of guitartistry that glided between extremes. Songs formed and dissolved without notice, turned inside out and back again, always at wildly unpredictable volumes. Pajo’s uncanny knack for both creating and shrinking spaces on tape would eventually become the blueprint for later luminaries like Tortoise, with whom he also played. 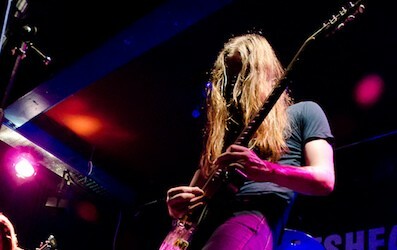 Whether playing scabrous grindcore in Napalm Death or juxtaposing smooth, almost Pink Floyd–like blues solos over the surgically precise death-metal riffage of Carcass, Steer always managed to find a way to inject some ear candy into genres known for avoiding it. By 1993, when Carcass released Heartwork — its last true death-metal album (before embracing death’n’roll) — Steer had masterminded a hook-filled songwriting style that perfectly balanced metal virility with honest-to-God melody, something countless bands are still attempting to copy. As his Tuareg brethren continue their separatist insurgency in northern Mali, the leader of Tinariwen again can lay claim to being one of the world’s few literal rebel rockers. Ibrahim gets credit for inventing the modern Tuareg electric guitar style adopted by Etran Finatawa, Bombino, and other Saharan musicians. He generates this gritty, grungy, churning sound by hammering open strings on his Fender axe in a laid-back desert boogie reminiscent of his late northern Mali peer Ali Farka Touré. 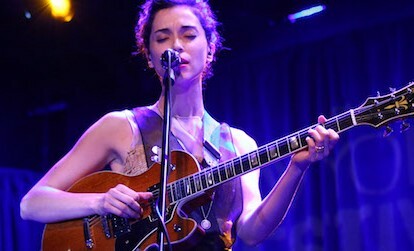 The tricky little lead lines with which she peppers St. Vincent’s already impressively broad catalog hint at Annie Clark’s almost casual mastery, but her true genius lies in the way she treats the guitar as a dynamic sound source rather than a static instrument. In her hands, and within a tautly complex compositional framework, the guitar sounds limitless, capable of screaming, squalling, soaring, and crying — as if Hendrix were sitting in with a downtown art-rock band. Most Heroic Moment: Performed live, the spidery “Your Lips Are Red” from her 2007 debut, Marry Me, pulses provocatively until it explodes into a thrilling mid-song distorto splatter breakdown. — D.M. 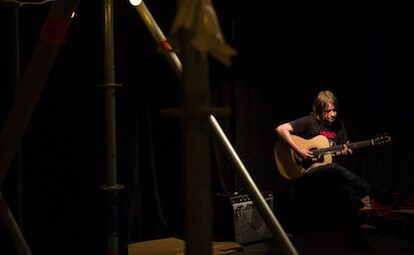 Some guitarists find spectral overtone melodies inside sheets of feedback (see: Lou Reed’s Metal Machine Music, Sonic Youth), but British wunderkind James Blackshaw uncovers them in careful stacks of 12-string acoustic guitars and bright orchestrations. Minimal in his attack and classical in his drama, Blackshaw bears the acoustic guitar torch in the 21st century, his pieces unfolding in slow, formal shifts until they beam like a burning light through stained glass. 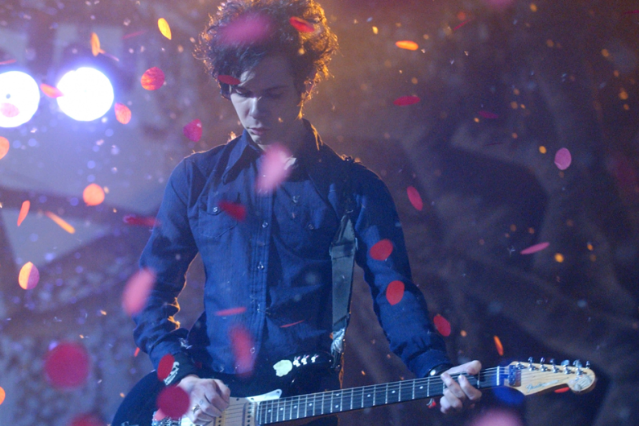 Most Heroic Moment: The magnificently vivid 12-string ripple behind 2007’s “Running to the Ghost.” — J.J. Without the rhythmic pummel of the Slits, there would be no riot grrl, no Rapture, no Yeah Yeah Yeahs; and without Viv Albertine — who played guitar for this groundbreaking U.K. punk band, and wrote the bulk of their early material — there would be no Slits. Albertine’s unrepentantly unpolished guitar stylings eschewed the high velocities and power-chord assaults of her male contemporaries in favor of trebly, dissonant stabs. It all meshed perfectly with the band’s cheeky, confrontational songs, ultimately turning jagged rhythms into something as provocative and primal as anything punk produced. 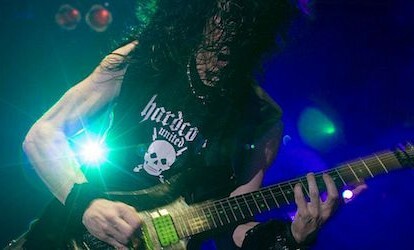 Hendrix, Van Halen and, uh, Mozart are the musicians to thank for most heavily influencing death-metal shredder Azagthoth, not that they really come through in the jagged riffs and cheetah-fast solos of Morbid Angel classics like “World of S—t” and “Where the Slime Live.” But that’s because he has blazed a tension-filled style all his own (when he solos, he enters a mystical mind state he calls the “Temple of Ostx”) that is finally getting more praise than early antics like cutting himself with a razor before hitting the stage and extolling Satanism. Most Heroic Moment: The whammy damage and jaw-dropping speed of his solo on “Vengeance Is Mine,” from 1993’s Covenant. — K.G. 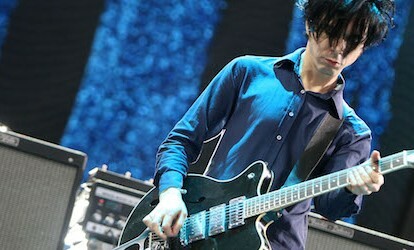 The Yeah Yeah Yeahs’ theatrically coiffed guitarist has several grueling jobs, among them holding down the trio’s entire melodic structure and holding his own against one of the most dynamic frontwomen of our time. His signature see-saw call-and-response lines leave plenty of room for tension and release, war cries, and tears, and the kind of grand, clanging chords that’ll turpentine your ears clean. Rock’s ultimate minimalists, Earth reduced heavy-metal thunder to a blissful rumble in the clouds. 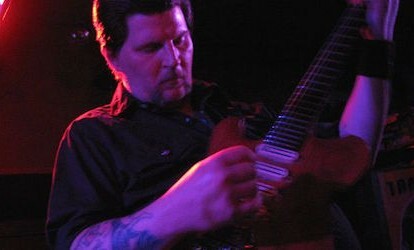 Their pioneering 1993 drone suite Earth 2 — pulseless, fearless, relentless — was little more than Dylan Carlson’s guitar chugging away on a note or two for 73 monolithic minutes. Relieving metal and grunge from any pretense that wasn’t distortion, menace, or catharsis, Carlson found a headbanger/shoegazer home between the primal and the O)))therworldly. Most Heroic Moment: Earth 2’s closing half-hour, a suffocating blast of gauzy, gazy amplifier worship. — C.W. 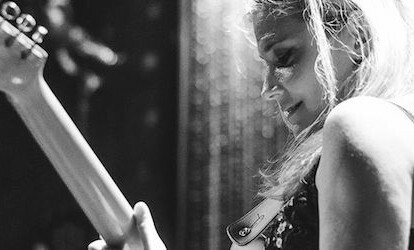 Two-handed tapping was the hoariest of heavy-metal clichés until Marnie Stern reclaimed the concept on behalf of indie-prog bedroom shredders everywhere. No one would ever confuse Stern’s chops with Eddie Van Halen’s, but that’s kind of the point: If Stern’s shredding exudes the agreeably skewed internal logic of the self-taught, it also allows her to utilize the two-handed technique far more creatively than the pseudo-classical chest-puffing that usually comes with Dokken territory. Most Heroic Moment: The gloriously wheedly “Vibrational Match” from 2007. — D.E. Like Television not too long before them, Fugazi founders Ian MacKaye and Guy Picciotto engaged in a locomotive, dub-influenced dual-guitar shouting match. Though most of the talk around Fugazi inevitably leads back to their founding ethos, that way of thinking and operating permeated the music as well: Together, MacKaye and Picciotto were anti-frontmen, playing like a living, fire-breathing, two-pronged embodiment of democracy. Most Heroic Moment: The simple, searing lines of 1990’s “Turnover.” D.B. Many arguments can be made for Peej’s gifted lead guitarist (and corn-dogging, cheese-mongering Stevie Ray Vaughan acolyte) Mike McCready, but it’s Gossard whose songwriting and toothsome licks propelled the Seattle grunge icons early, record-setting releases. The winsome chords of both “Daughter” and “Black,” the white-knuckle smash of “Animal” or “Deep” or “Do the Evolution” — all were anchored by Gossard, a quiet type more invested in classic-rock craft than classic-rock showmanship. Most Heroic Moment: The opening chords to 1991’s shoulda-been-a-single “Breath.” D.B. Lydia Lunch once beat her Teenage Jesus & the Jerks bandmates with coat hangers during practice; and her confrontational attitude was only matched by her completely unfettered guitar playing. Calling the instrument “a grand assaultive weapon,” she treated it as such, often attacking the strings with knives or even shards of glass, refusing to even bother learning chords, using it as a blunt force to express a total anti-pop, anti-punk, anti-everything rage. Most Heroic Moment: All 39 seconds of police-siren squall on Teenage Jesus’ “Red Alert” from 1978’s No New York. J.J.
“Stoner rock” has to be the most useless classification in the long history of futile attempts to describe what music sounds like. (What rock isn’t stoner rock, amirite?) 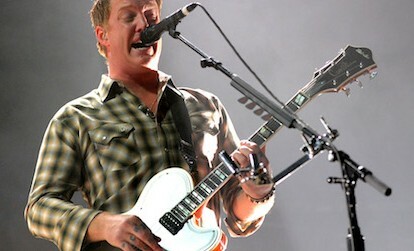 Despite the misleadingly mellow connotation, the term is really just shorthand for Josh Homme’s thick-necked guitar playing, first in Kyuss, but more famously in Queens of the Stone Age, blending ’70s-vintage proto-metal sludge with high-desert lawlessness, Black Sabbath playing Jesse Pinkman’s house party. Tall, ginger, and wielding a sense of humor as dry as his Mojave stomping grounds, Homme doesn’t exactly look the part of an alt-metal godhead, which only makes the poison easier to swallow. The way Kristin Hersh rubs major and minor notes next to each other in her intricately plotted songs is truly haunting; a ghostly approach that didn’t even require selling her soul at the Crossroads. Blending plucky arpeggios and bluesy slides with punishing strumming, Hersh’s playing has actually gotten more aggressive as she’s eased into her 40s with 50 Foot Wave. Most Heroic Moment: 1995’s “Shimmer” makes it easy to forget Hersh handles all the guitar work in the Muses herself, shifting effortlessly from lead to rhythm and back like an Indy 500 star. C.G. A towering figure in the Japanese underground beginning in the early ’70s, Keiji Haino plays guitar — often distorted to the point of pure sound — with such a wild diversity that it’s misleading to call him merely a “noise guitarist.” But he is very, very, very noisy. With personas that include blues-sludge hero, noise-blast deployer, and big-eared post-psychedelic improviser, Haino’s renown (and collaborations) spread far beyond Japan, most notably with albums recorded by Fushitusha, his all-improv/nominally rock outfit. Most Heroic Moment: The untitled third track on Fushitusha’s 1989 Double Live swelling from silence to silver tone-cloud without losing a bit of tenderness. J.J.